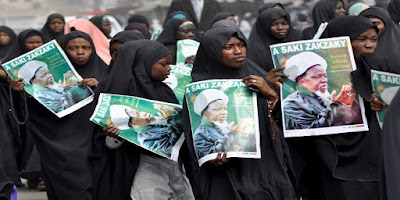 , said on Monday that they would march on Abuja to protest the continued detention of their leader, Sheikh Ibrahim El-Zakzaky, in the Department of State Service. They noted that following the expiration of the 14-day ultimatum given by the sect to the Federal Government within which to release El-Zakzaky, Shiites in millions would occupy the federal capital until their leader was released. The group spoke under the aegis of ‘Save Zakzaky’s Life Group of Nigeria,’led by its National Coordinator, Bashir Marafa. The group asserted that as Nigerians, “We have the right to show our grievances and concerns in peaceful manner. It can be recalled that members of the Islamic Movement of Nigeria (IMN), otherwise called, the Shi’ites, on Thursday, September 22, 2016 marched across major streets of Abuja, the Federal Capital territory, seeking the release of their leader, El-Zakzaky. Mr. El-Zakzaky has been in detention since December last year after soldiers killed and secretly buried over 300 members of the Shiite group in a massacre that has been condemned by local and international rights groups.